Gulliford Burial Ground; Your help wanted. 1) We need people to clear the ivy off the boundary walls, will need their own tools. 2) Help to prune the laurels from ground level, again please bring your own cutting tools. No need to let us know you are coming, just turn up and you will be warmly welcomed. Gulliford Burial Ground is located on Meetings Lane, Lympstone, just off Harefield Cross, opposite the turning for Strawberry Hill. 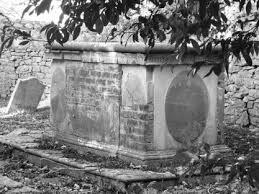 The site is held by Lympstone & Woodbury Parish Councils, has 3 Listed Grade II tombs & Grade II boundary wall, and contains the graves of past families who shaped our villages. NextThe future of Lympstone Nursery.